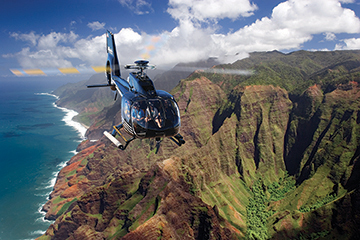 Fly Before 8:30 A.M. or After 2:00 P.M.
Tour Waimea Canyon, dubbed by Mark Twain as the " Grand Canyon of the Pacific." Although Mark Twain never visited the island, he must have seen enough of it to judge the unparalleled grandeur of this famous Kauai landmark. It is truly a spectacular sight. 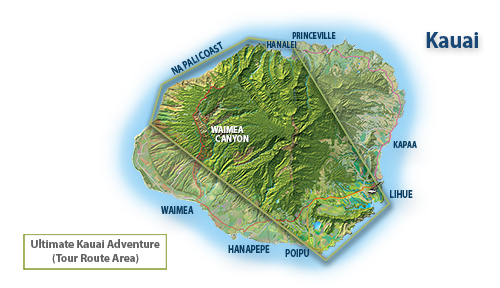 Mount Waialeale is known as the wettest spot on earth with an average annual rainfall of approximately 450 inches. Most of the mountain rain drains into the nearby Alakai Swamp, home to several rare species of plants and birds. Wailua Falls is also known as Fantasy Island Waterfalls for their cameo appearance weekly in the TV series of the same name. The legendary Na Pali Coast, with its dramatic cliffs chiseled by time and remote beaches is spellbinding no matter how many times you see it. This is the home of the legendary Bali Hai as seen in the 20th Century Fox movie, South Pacific. 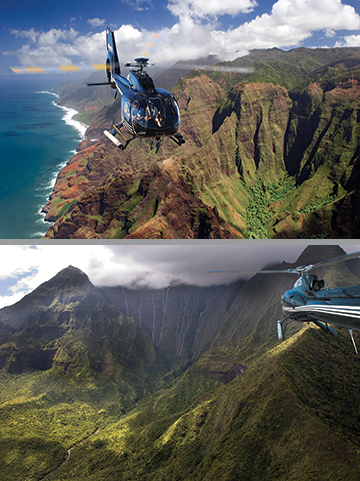 Kauai's most inspiring mountains, most magical caves, enticing waterways, unique flora and fauna, rich red dirt and emerald green vistas – discover this and more on one of our tours. Passengers enjoy “First Class” seating next to pilot, with extra arm and leg room. Maximum combined weight for two passengers on FX STAR First Class is 400 lbs., and Whisper STAR First Class is 490 lbs. 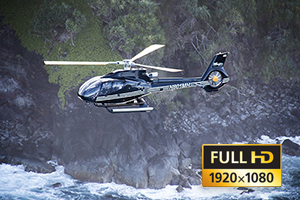 Helicopter weight and balance changes with every flight because of passenger weight, pilot weight and length of flight (fuel weight). 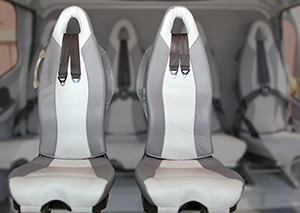 It is important that we have accurate body weight from every passenger. FAA regulations require all passengers and their carry-on items to be weighed at time of check-in. 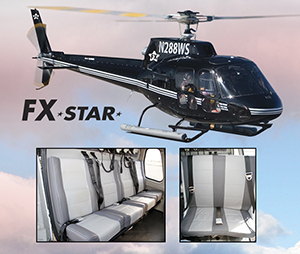 If a standard airline seat belt is too small or you weigh over 240 pounds you may be required to purchase a comfort seat on our FX STAR. If you are between 240-290 lbs., we recommend open seating on the Whisper STAR. Over 290 lbs. 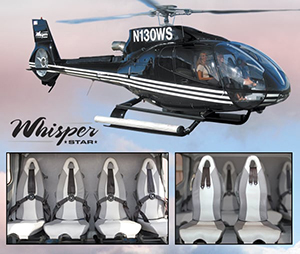 may require a comfort seat in our Whisper STAR. Call our reservation number 866-501-7738 for more information.